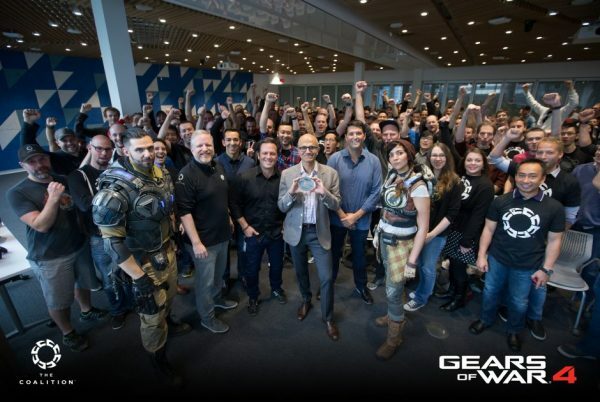 (XBox Wire)– Today, Microsoft is pleased to announce that Gears of War 4 has been released to manufacturing ahead of its October 11th worldwide release. This event, also known as “Going Gold,” is a major milestone in development, marking the release of the gold master disc to Xbox replication facilities around the world. 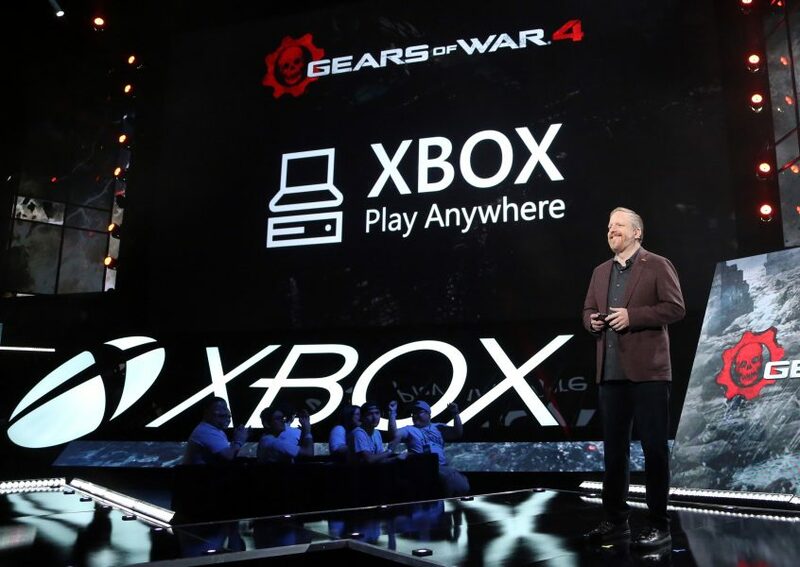 This also marks a major milestone for Xbox as the first-ever Gears of War title available in the Xbox Play Anywhere program, available simultaneously for Xbox One and Windows 10 PC. Additionally, Gears of War 4 also supports Cross Play across Xbox One and Windows 10 PC in all of the game’s modes, including Versus, campaign and the all-new Horde 3.0 survival mode. 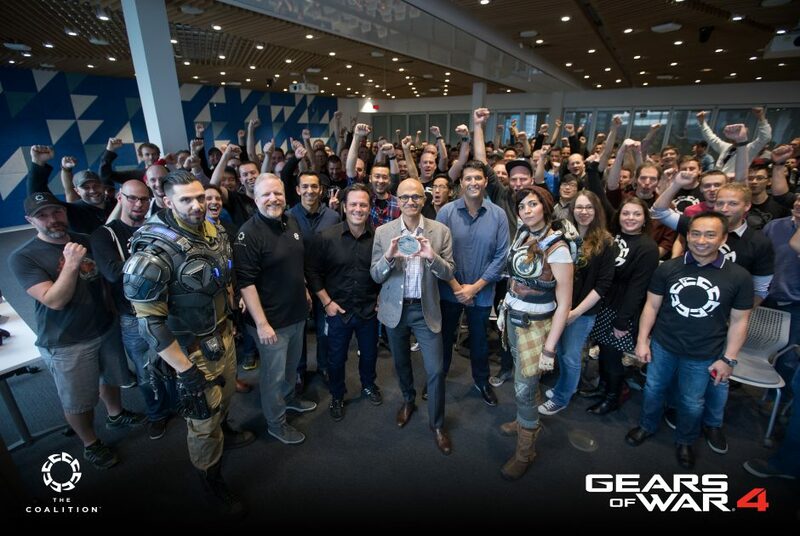 The event was celebrated today by Microsoft’s Board of Directors, who traveled to the Microsoft Canada Excellence Centre in Vancouver, B.C., to help mark the occasion alongside Phil Spencer, head of Xbox, and Rod Fergusson, head of the Vancouver-based development studio The Coalition, responsible for the development of Gears of War. Earlier today, fans got a final preview of the game in the Gears of War 4 Launch Trailer that appeared online ahead of its television debut on the US telecast of Monday Night Football on ESPN (game time 5:30 PST). The trailer is the first Gears launch trailer to feature exclusively in-game footage, and is set to a haunting cover of Metallica’s “Nothing Else Matters” by American singer-songwriter Lissie. Previous Valiant Debuts at GameStop Expo 2016 with Collections, Merchandise, and More!